YourLocalBiz – Dedicated to getting local businesses found online. YourLocalBiz build impressive beautiful high-performance websites of any scope with modern creative design. Get your business online, where it belongs. Custom bespoke development for any project. Get your message out to your customers. Analytics to help you plan your next move. All our websites are fully responsive and mobile ready. 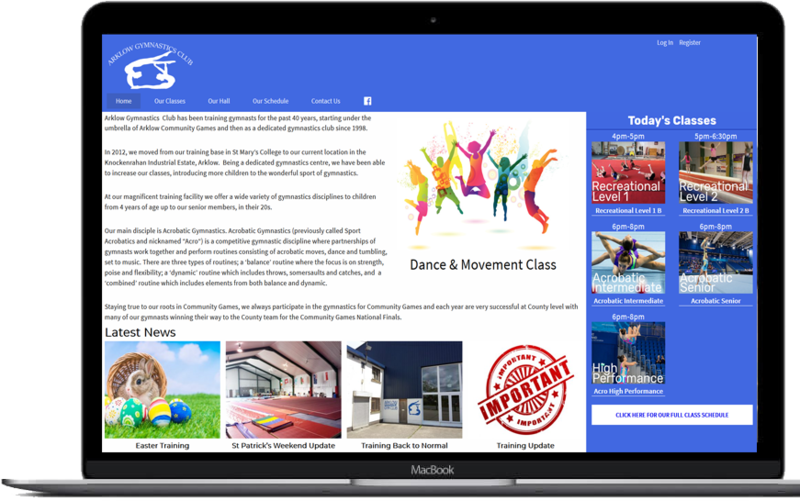 Complete rebuild of the Arklow Gymnastics Club website. Full check in and membership system built in with custom print outs for paper records. Fully responsive with Google Tag built in and advanced Analytics.